Glitter in Gold when you buy from Oro Express Mesa! Home » Blog » Glitter in Gold thanks to Oro Express Mesa! Gold is a precious metal for many reasons. It’s a symbol of wealth. It has long lasting collectors’ value. And you can build your glittering collection through Oro Express Mesa. What kinds of gold do you have at your store? As a connoisseur of gold, we take it in all its forms. Be it simple nuggets, to jewelry made of the precious metal, to watches, if it is golden, then we will probably have it. Simply visit our store and see what we can offer for you. How do you know if it is authentic? Our staff inspects all gold that comes across our store doors. Also, with over 30 years of experience in the Pawning Industry from all of our staff members, we make sure to separate the fine from the fool. To be fair, this does not guarantee that we know which of all our gold is fine or fool. We are human, but we strive to give you your money’s worth when you buy from us. We easy reach depending on how you travel. We’re on the North West Corner of South Mesa Drive and East Broadway Road. If you take the ValleyMetro Bus lines, we can be reached on the 45 Eastbound (Phoenix side) or Westbound (Apache Junction side) or the 120 Southbound (North Mesa side) or Northbound (Gilbert side). 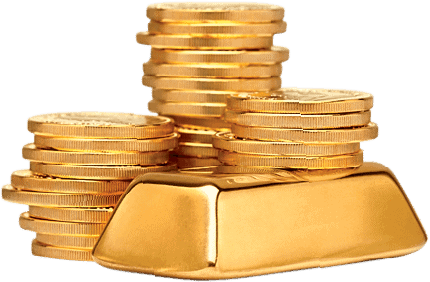 We offer gold for all those that seek it and want to get their money’s worth. We’ve been in this business for over a decade, and continue to go strong. We also offer bi-lingual support for English and Spanish customers. And having a wide selection of gold for you purchases means you can show off your glamour to friends and family alike. We would love to see you shine as brightly golden and we at Oro Express Mesa can make that happen!